The Harver family head out on an idyllic summer camping trip to bury past tensions and enjoy some family bonding. 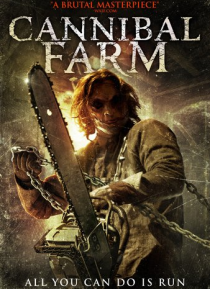 But when their camp is sabotaged by an unseen intruder in the night, they head to a nearby farm desperate for help, where vengeful farmer Hunt Hansen and his hideously deformed son aren't farming animals... but something much more disturbing. Captured and caged and waiting for horrors … to unfold, the Harver family must overcome their differences and unite in order to escape alive!